This year’s annual ‘Summer Of Riesling’ Masterclass is hosted by our very own Patrick Walsh at the Edinburgh Hotel & Cellars. 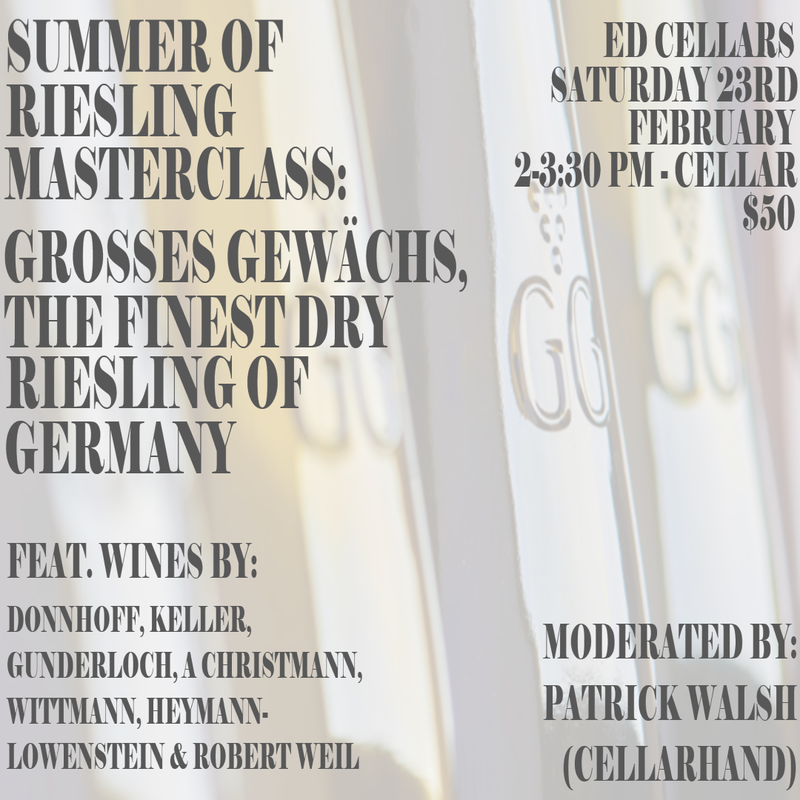 Join him for an in-depth look at the Grosses Gewächs, ‘Finest dry Rieslings’ of Germany. Patrick’s dedication to this noble varietal cannot be understated, it will be an enlightening and lively tour of the Grosse Lagen: Great Sites. On the back of successive vintages of incredibly high quality, Patrick will guide you through 5 spectacular regions discovering the power and grace of German dry Riesling. $50 pp +bf includes, wines on tasting and entry into the Summer Of Riesling Garden.